Electric table top commercial unit, must be plugged directly into outlet, CANNOT BE USED WITH EXTENTION CORD!! Must use inside an air conditioned area or will not freeze. Product takes 2 hours to form slush. Very heavy, MUST HAVE truck to transport. Has 2 separate 2-1/2 gallon compartments to make 2 different kinds of drink. MUST HAVE TRUCK OR VAN TO PICK UP! 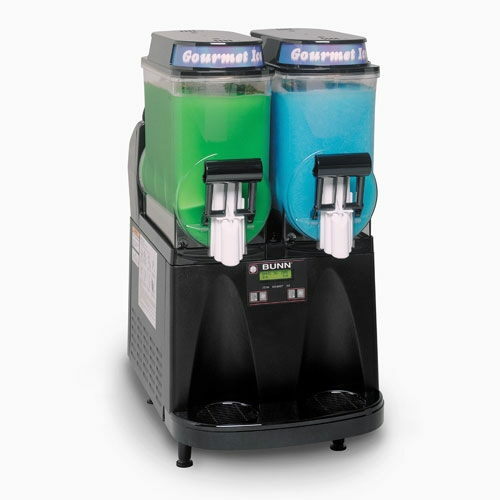 * Please call us for any questions on our slush machine rentals in Hagerstown MD, Williamsport MD, Martinsburg WV, Waynesboro PA, Mercersburg PA metro areas.